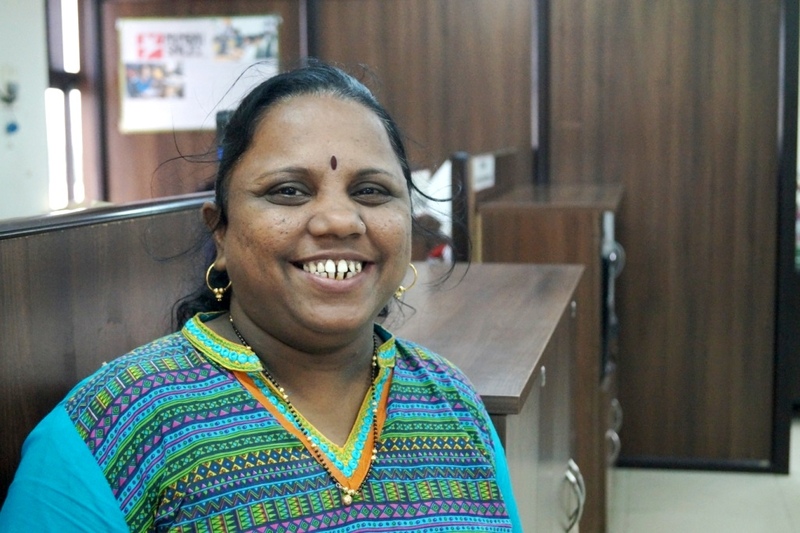 42-year-oldPrafullata Vengurlekar comes from Vengurla in Sindhudurg district of Maharashtra. At the age of 5 years, her family moved to Mumbai. Now she lives in Marol, Andheri with her husband and two children. 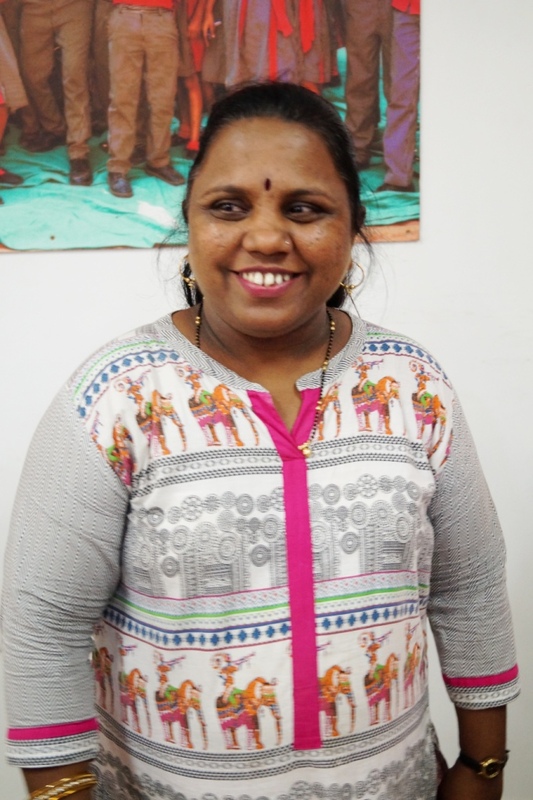 Prafullata had to go through several hardships to get where she is today. Her parents used to run a family salon as well as stitch clothes for a living and she had 4 siblings and the family income was just enough to get by. Luckily, she found love and got married at the age of 21 and moved to her in-laws house; fortunately her in laws were very understanding and she continued to work as a nurse post marriage as well. Soon, she moved to the Marol area with her husband and daughter. But due to responsibilities of her own family and now a daughter, she was forced to leave her job and look after her family members. “Around 2007-2008, I helped the team of Mumbai Smiles to open the first Preschool which is still there in Marol. Today it is Preschool no. 7. Back then, Suresh sir (one of the preschool coordinators) was mobilising in my area so someone suggested my name since I was already volunteering for free with other NGOs so Suresh sir got in touch with me. So I was asked to start the Preschool classes at home, since there were no funds to rent a Preschool place. But my brother-in-law, used to live with me then, he was a drunk and little rowdy and that would have been very bad influence. So, I declined then because of that but suggested other names, and I’m so happy to say that they are still associated with Mumbai Smiles today – Smita and Chandrakala who started as preschool teachers and are field coordinators today. They had started the Preschool at home and then after 6 months or so, a separate place was taken on rent to run the Preschool. 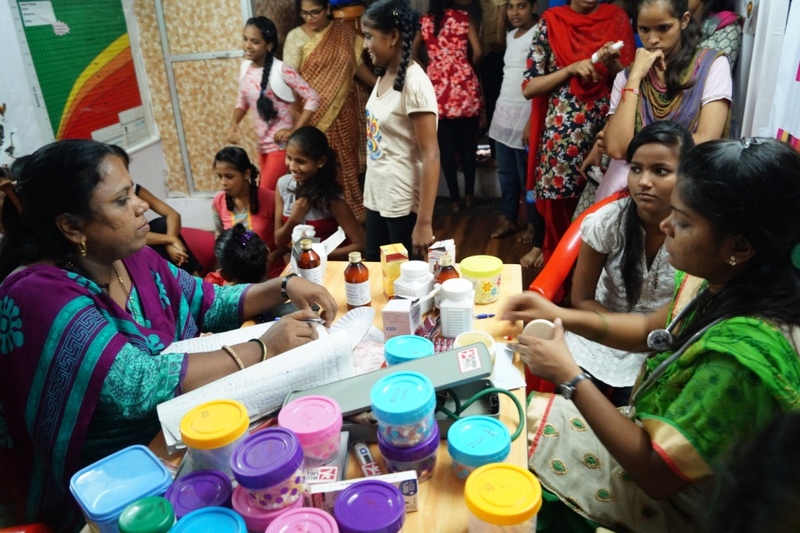 I then started volunteering for free to mobilise more women for Mumbai Smiles’ various projects. Around 2010, Higher Education project (then Future Smiles) was starting and I started mobilising for this new project in my locality and since I was in the same slum area, my daughter Meghana also got scholarship for her college studies, 11th standard. So, that is when I officially and properly got associated with Mumbai Smiles as a parent beneficiary for FS. And I used to be very active with the Beneficiary Committee Meetings, I used to love it. I used to get new information in these meetings about education and I was able to contribute too with the project team, for career guidance for my and other children. And then as soon as LSE project was launched in 2014, I was immediately approached to come for interview for the post of Animator, considering my background as a nurse plus as a volunteer with various NGOs for so many years. The team supported me so much! And I got selected after an interview by the top management here! Once selected, my training was done along with two others, for 8 days and three of us started working in three areas. I was in Marol. But then one of them left in less than a year and the other one left abruptly in the middle of second year since she got a better job elsewhere. So, then I started handling both Marol and Phulenagar sessions and I am continuing to take both sessions even in the current year. Prafullata continues to be as enthusiastic today with her as she was as a volunteer all those years ago as a parent and a volunteer. We are so very proud of her and we wish her the ladder of success in her journey of life! I really appreciate your commited and passionate services to the community .Keep up your great efforts Prafulta.